Commercial insoluble tomato fiber (ITF) was incorporated in wheat-flour dough to prepare cookies at amounts of 2.50, 5, 7.50, and 10 %. It was demonstrated that all wheat dough samples exhibited non-Newtonian-thixotropic behaviors at shear rates from 0.001 to 1000 s-1. Besides, the oscillatory rheology analysis confirmed that the storage modulus predominated the loss one in the whole frequency range and increased significantly with the increase in the ITF concentration. Actually, the latter's incorporation from 0 to 10 % increased Farinograph water absorption, pasting temperature and peak consistency, and decreased dough stability, amylograph pasting viscosities and fermentation parameters of all tested wheat flours. Furthermore, the ITF addition was proven to affect the formed cookies, indicating a significant increase in the samples' breaking strength and decrease in their spread ratio. The total polyphenol contents of the formed cookies ranged from 86.98mgGAE/ 100 g to 376.02 GAE/g cookies. The ITF incorporation increased the antioxidant activities as measured by DPPH, ABTS and FRAP scavenging activities. Correlations between the analyzed parameters of the cookies' color and IC50 are statistically significant (p< 0.01), suggesting the possible use of ITF as an alternative source of bioactive compounds to improve the cookies' quality. CHOUAIBI, M. et al. INSOLUBLE TOMATO-FIBER EFFECT ON WHEAT DOUGH RHEOLOGY AND COOKIES' QUALITY. 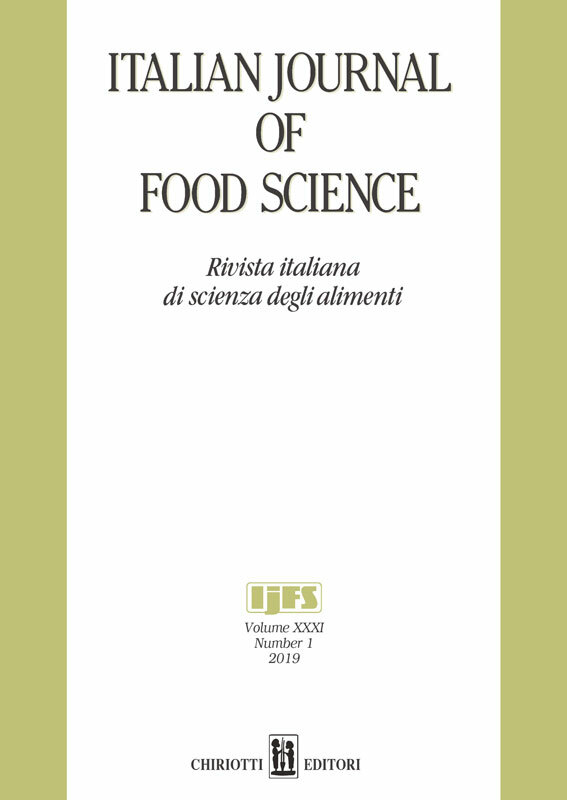 Italian Journal of Food Science, [S.l. ], v. 31, n. 1, aug. 2018. ISSN 1120-1770. Available at: <https://chiriottieditori.it/ojs/index.php/ijfs/article/view/1207>. Date accessed: 20 apr. 2019. doi: https://doi.org/10.14674/IJFS-1207.